Marvin Gaye is an American musical legend, responsible for some of the most iconic Motown hits of all time. His songs live on to this day as all-time classics, still beloved by those around to see them debut and winning new fans in those too young to have had the pleasure. When Gaye comes on in a playlist it’s a guarantee that everyone around is about to have a good time. 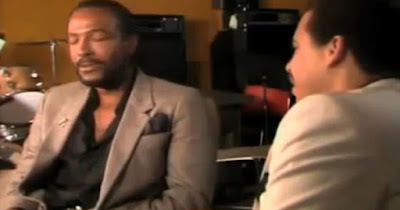 In 1984, Gaye sat down for an interview with Tom Joyner. It was a lighthearted and casual affair, with Gaye chewing gum throughout while offering honest and open responses to questions covering a broad range of topics, from love to taxes. The interview could just have easily been any other interview, were it not for the tragic incident it preceded. Joyner would become the last person to interview Gaye on film before his tragic passing. Gaye’s life was cut short on April 1, 1984 when he was murdered in his home by his father. Gaye’s father had gotten physical with his mother, and Gaye stepped in to break it up. His father Marvin Sr. got a gun shortly thereafter and found Gaye in his bedroom, shooting the musical great twice. The first bullet struck Gaye in the heart and proved fatal.